I have not been working on anything crafty. Well, I take that back. I participated in Ali Edward’s A Week in the Life. That was a blast. Not just for the preservation of my family’s week but also because I spent a week immersed in photography. I spent the week in full manual mode. I shoot a lot in manual but not ALL the time. It was a true learning experience. 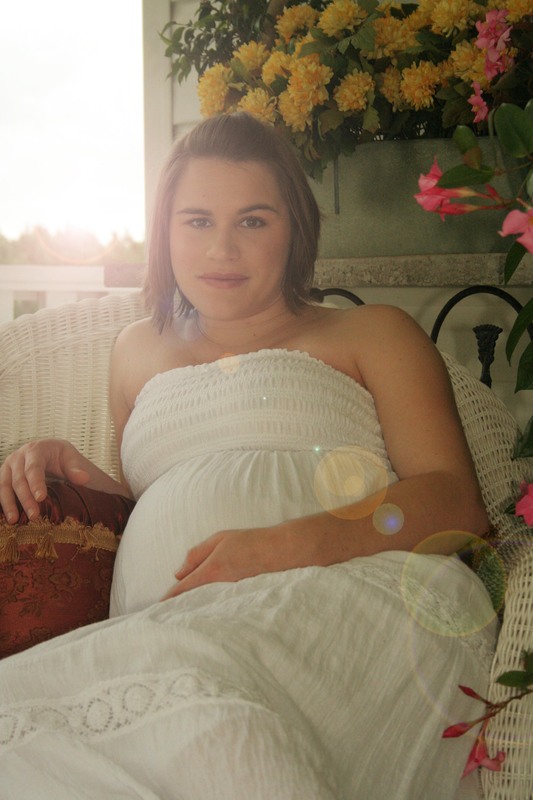 I redid some a maternity shoot for a friend. I had shot them about 4 months ago, and had did all the post-production work. But then I lost them. They were eaten by the laptop. Finally found the cd I backed them up onto, but of course it was just the raw images. So I fixed them all and send the cd along. I love photography. This is my favorite photo. It is a technique that at the time I had no idea how to reproduce. But thanks to a friend, now I do! Yay! Sunburst here I come! So although this isn’t anywhere near perfect, I love it. Today I am starting Mother’s Day Gifts and end of the year Teacher Gifts. For the both I am going to give y’all my first ever digital download! EEEK! So excited and nervous too! I really hope everyone likes it! Check back tomorrow and it should be live! If you haven’t yet, check over at the Chick’N Coop blog for some great videos from this past weekend! I’ve also been working on a few blogs! Check out my friend Tessa’s blog! I love the color combo she asked me to use! While there, click over to her etsy site! Her flowers rock! New LO’s and blog headers! Enoch walked with God; then he was no more, because God took him away. I really hope when people think of me they think, She walks with God. How awesome a thought! 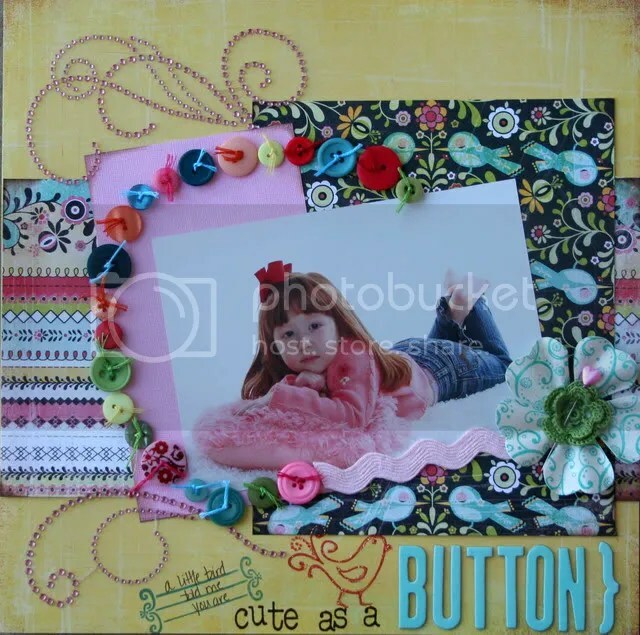 Now, this a Layout that I recently completed. I have had this picture since Faith’s 3rd birthday but couldn’t figure out quite what to do with it. I’m pleased with how it turned out! And you know I love me some buttons!!! And now a blog header! This is for a friend of a friend!